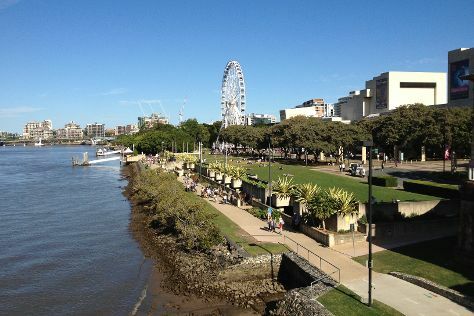 Explore Gold Coast's surroundings by going to Brisbane (South Bank Parklands, Lone Pine Koala Sanctuary, & more). Spend the 8th (Tue) exploring the fascinating underwater world at Sea World Theme Park. There's lots more to do: find something for the whole family at Warner Bros. Movie World, enjoy breathtaking views from SkyPoint Observation Deck, and stroll through Surfers Paradise Beach. To find reviews, more things to do, maps, and other tourist information, refer to the Gold Coast tour builder app . Singapore, Singapore to Gold Coast is an approximately 11.5-hour flight. You can also do a combination of flight and train. The time zone changes from Singapore Time (SGT) to Australian Eastern Standard Time (Queensland) (AEST), which is usually a 2 hour difference. Plan for a bit cooler temperatures traveling from Singapore in October, with highs in Gold Coast at 29°C and lows at 18°C. Wrap up your sightseeing on the 10th (Thu) early enough to travel to Sydney. Sydney is known for nightlife, trails, beaches, parks, and museums. 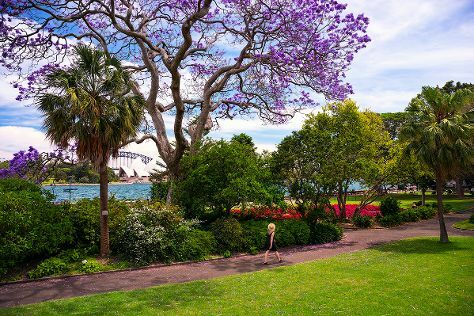 Your plan includes some of its best attractions: admire the natural beauty at Royal Botanic Garden Sydney, hunt for treasures at Sydney Fish Market, take a stroll through The Rocks, and see the interesting displays at Australian National Maritime Museum. For where to stay, traveler tips, more things to do, and other tourist information, use the Sydney trip planner. Traveling by flight from Gold Coast to Sydney takes 3.5 hours. Alternatively, you can do a combination of train and flight; or drive. In October in Sydney, expect temperatures between 28°C during the day and 17°C at night. Wrap up your sightseeing on the 14th (Mon) early enough to drive to Wisemans Ferry. On the 15th (Tue), explore and take pictures at Watkins Orchard, then get great views at Hawkins Lookout, and then hike along Convict Trail. To see ratings, traveler tips, photos, and other tourist information, use the Wisemans Ferry trip maker . You can drive from Sydney to Wisemans Ferry in 1.5 hours. Traveling from Sydney in October, plan for slightly colder nights in Wisemans Ferry, with lows around 12°C. Finish up your sightseeing early on the 15th (Tue) so you can go by car to Katoomba. Change things up with these side-trips from Katoomba: Bilpin Cider Company (in Bilpin) and Norman Lindsay Gallery & Museum (in Faulconbridge). There's still lots to do: admire the sheer force of Wentworth Falls, trek along Grand Canyon track, get outside with Eagle Rock Adventures Pty Ltd, and delve into the lush surroundings at Coachwood Glen Nature Trail. To see traveler tips, ratings, other places to visit, and tourist information, go to the Katoomba trip planner . Traveling by car from Wisemans Ferry to Katoomba takes 2 hours. In October in Katoomba, expect temperatures between 30°C during the day and 12°C at night. On the 19th (Sat), wrap the sightseeing up by early afternoon so you can travel back home.